NOTE: This contains the fixed audio! 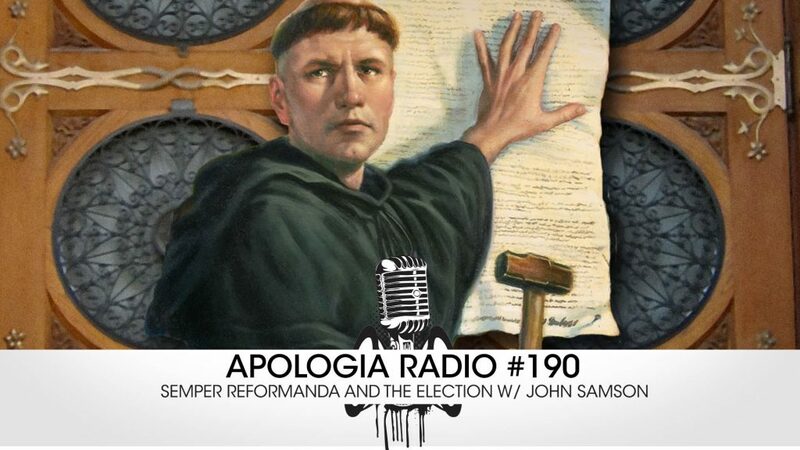 On this episode of Apologia Radio we are joined by a special guest, our dear friend and author Pastor John Samson, to discuss 499 years of Reformation. How does the cry of the Reformation, Semper Reformanda, affect us today? How do we apply it to our culture? How have Reformation principles had any bearing on the 2016 Presidential Election? Also, John shares with us several lesser known benefits that we have received from the Reformation. We have a lot to thank the Reformers for, and Johns shows us how. Like what John has to say? You can get much more of him by signing up for Apologia All-Access where has done several Academies on the Doctrines of Grace. Sign up at apologiaradio.com/all-access-signup!